once your muslin is done and you know what pattern changes you have to make, it’s time to start thinking about the fabric and what to do with it before cutting. my shell is 100% wool and my lining is 100% silk. egads! we’re definitely in “dry-clean-only!-do-not-throw-that-stuff-in-the-wash!” territory. being that i have very little experience with these fabrics, i can’t give suggestions based upon my own experimentation. lucky for me the whole internet is at my disposal, so i can turn to the people who can say things like: “when i pretreat wool/silk i usually…” so here goes. dry clean it and have it professionally steam pressed. i’m not a fan of this option because the more i read about dry cleaning the more i’m convinced it’s just a crapshoot. maybe you’ll get good results, maybe you won’t. for me, it’s the expense and smell that keeps me from going that route any more than i have to. the “london shrink” is another option and basically involves rolling your fabric up with wet towels or sheets, letting it sit wet for a day, unrolling, air drying then pressing. the third option is basically free and doesn’t involve standing over the ironing board for hours on end inside a cloud of steam. yay! throw it in the dryer with a couple very wet towels and let it tumble on the highest heat setting. for time, i’ve read 10 minutes up to an hour. i would expect 30-45 minutes would be sufficient. if your wool is likely to ravel, serge/zig zag the edges first. if you still want or need to wash the wool, use a no-rinse detergent (such as this), soak it for 10 minutes (or whatever the directions tell you to do), then dry flat. agitation in a washing machine will cause the wool to felt. if you do chose to wash your wool in any way, test it with a swatch first! silk it seems, gets a bad rep also for being difficult to pre treat. it’s shrink factor is pretty minimal (or so i read) so basically, you can just hand wash it gently then let it line or flat dry. if you’re nervous, do a swatch test first, especially if your silk has a print. 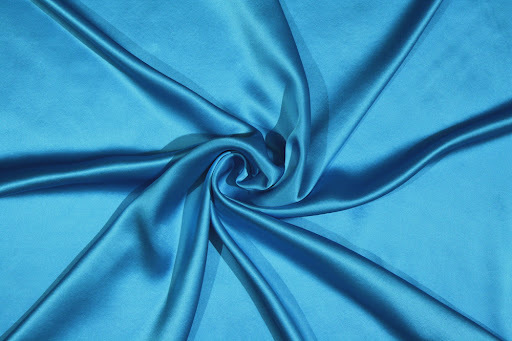 i’ve read horror stories of ruined silks due to the colors running crazy! if you go with a rayon lining, wash on a gentle cycle (or hand wash) then let it air dry. rayon and dryers don’t play well together. your fusible interfacing may also need a preshrink. to do this, submerge it in hot water and let it sit for 10-15 minutes then air dry. 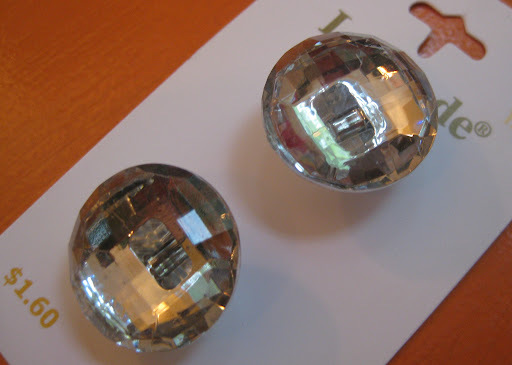 some fusibles specify that they are preshrunk and some specify that they are not preshrunk. if you don’t know… better safe than sorry! you don’t want your fabric shrinking up as you fuse it. are the pockets in a good place? 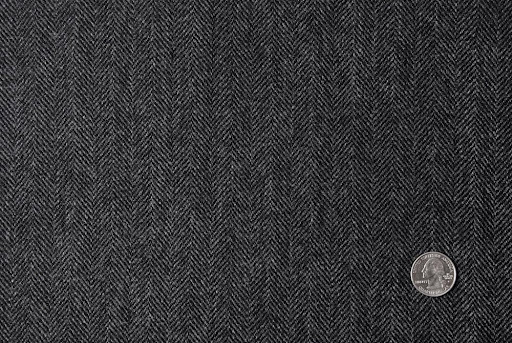 if your coating is on the thin side (as mine is) consider interlining with a cotton flannel. make sure you wash and dry it 2-3 times to eliminate shrinkage. unsure about interlining? i’ll address this later. does your fabric need extra stability? underlining with a cotton batiste (preshrunk, of course) may do the trick. what type of buttonholes you will do? if you are doing bound buttonholes this will be one of your first steps. if you plan to machine your buttonholes, start testing that now. if you’re not satisfied with how it looks, you may want to go with bound. hand worked buttonholes are another option (and the route i’m taking) but do your research first. it may be more work than you’re willing to put in! overwhelmed yet? i really hope not. basically you just want to plan out every detail and think it through. nothing is worse than getting far into your project then realizing some small detail isn’t functional. sorry about the picture-less post… i had hoped to have my sleeve tweaks made and sewn on to my muslin but i’m waiting for a shipment of tracing paper (50 yard roll of tracing paper! wooo!) to make it to my front door. 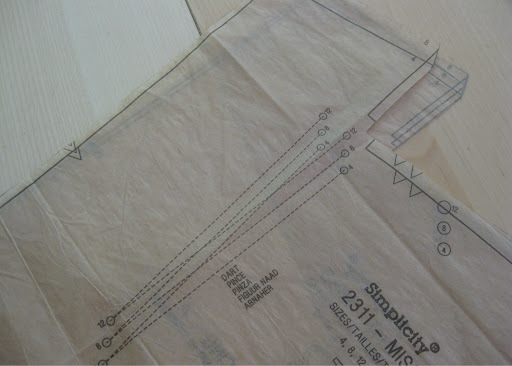 i’ve always used tissue paper, but i’m out and it’s really too thin for drafting anyways. i found tracing paper for a steal on amazon so hopefully it’ll show up tomorrow. if not, i’ll go back to tissue paper so i can get on with it already! …here’s some links. add your own in the comments if you’ve come across other great advice. i finally got around to sewing up the muslin for my coat and i’m rather pleased with how it looks. but… before i get into what i like about it, can i just vent for a moment about some bizarre pattern drafting? i can see that you are collectively nodding your heads in fervent agreement. for seriously. why is there a random dart at the base of the collar? yes, presumably it is to take care of the collar roll because there is no roll line treatment or markings. however! nowhere in the directions does it even mention this dart. or what to do with it, or which way to press it. and. it. just. ends. mysteriously. what about that space above the dart opening? i guess it would get closed off when attaching the collar? comparing the front piece to the facing piece, clearly the dart is necessary to bring these pieces inline, but it’s just… weird! see how the dart is just open at the top? bizarre. maybe i’m overreacting, or just ignorant (it’s not like i’ve done that much tailoring) but i really don’t understand why that dart is there. now, there is an alternate collar style with this pattern that is a shawl collar and i can see how the dart for that version would be helpful, albeit technically unnecessary. at least the dart on those pattern pieces is mentioned in the directions and that dart isn’t just mysteriously left open ended. soooo…. what’s going on simplicity??? can you ‘splain yo-self? and if any of you bright readers have an explanation, please kindly let me in on the secret! i’ve scoured teh interwebs and while this pattern has been made several times, no one mentions this dart. but now i have, so consider this my public service announcement for the day. oh, and i totally cut out that whole portion of the pattern and replaced it with a tracing of the corresponding section of the facing since it all lines up and such. 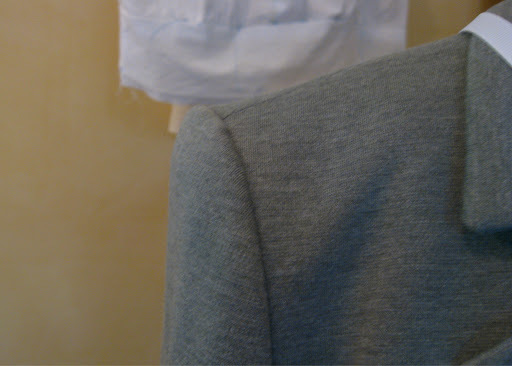 don’t worry, the facing lapel portion is still wider for turn of cloth. 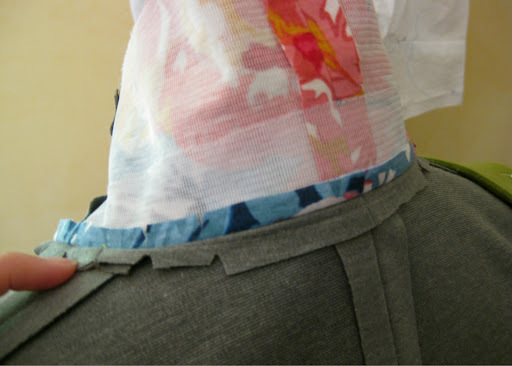 lining: there is no separate back piece for the lining. 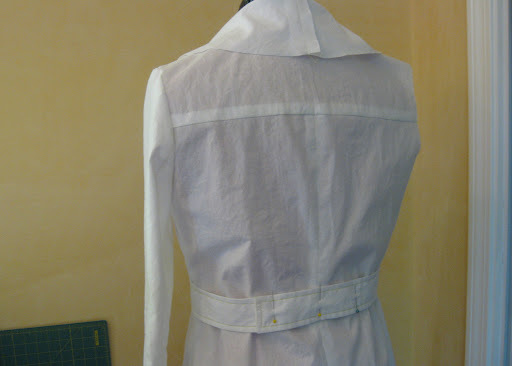 typically the back lining is wider than the shell and cut on the fold; then pleated at the neck, waist and hem. 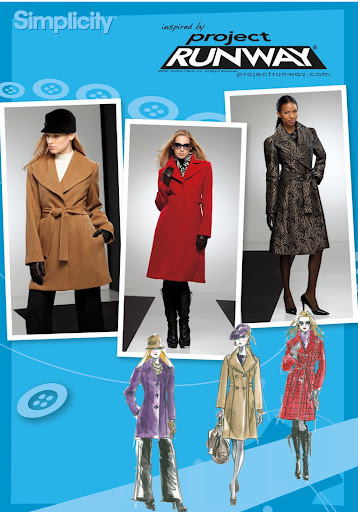 this allows for sufficient movement and also keeps the lining from pulling at the front of the coat. collar: other than the WTF? dart, there is no marked roll line. wah wah wah. since i made up a muslin i can figure it out for myself, but… well never mind. 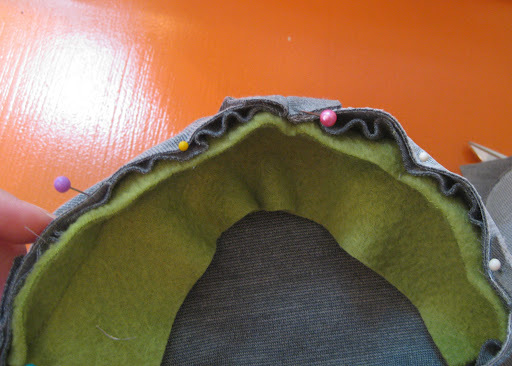 pockets: this pattern has in-seam side pockets. i prefer that the pockets sit in the front princess seam, so that’s where i’m putting them. haven’t decided if i’ll be doing it in the seam or if i’ll do a fat single welt. probably going with the welt just for interest and the opportunity for extra top stitching. sleeves: i prefer a two piece sleeve and this pattern is a one piece. not a big deal, but i think you just get a better fit that way. since the rest of the coat has nice seaming, it’s only natural that the sleeve does too. i drafted a two piece sleeve and only need to tweak it a bit! so how is the fit? pretty darn good! i graded from an 8 out to a 10 and i think it’s just about right. i’ll need to raise the armscye so i have a better range of motion and can do crazy things like drive a car comfortably. once i have these little things done and my pattern adjusted i’ll be ready for cutting! i’m totally loving the wide collar on this pattern! but before i dive in full steam ahead with cutting fabric, i plan to do a little round up of fabric treatment options if you are dealing with wools and silks and probably even a word on interfacing and other random details to consider before cutting into the real stuff. so, that’s it for now! i recently came across maria denmark’s blog, no doubt after falling down the sewing blog rabbit hole. one blog leads me to another… which leads to another… and so forth. she has a great free pattern, the kirsten kimono tee, available over on craftsy.com and patternreview.com and a few other places. i immediately downloaded it for future use and pulled it out recently to make a quick top. 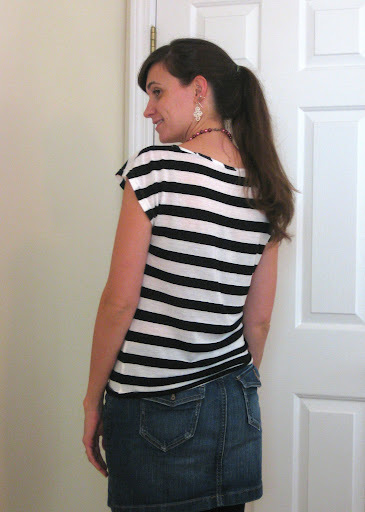 i had this great black and white stripe fabric from girlcharlee.com which was the perfect weight for a simple not too fitted top. i am particularly pleased with the finishing on this one. sometimes the sewing gods are with you and sometimes they definitely are not. 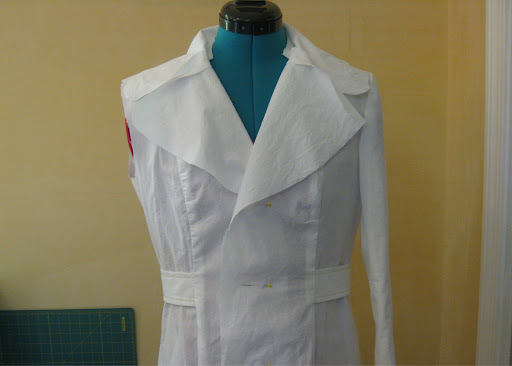 the pattern doesn’t include seam allowances (but smartly advises you add them in before cutting out the pattern) so i added a serger-friendly 3/8″ to the seams, and 3/4″ to the sleeve and hem. i bound the neckline with self fabric cut on the bias for interest. typically i cut my knit bindings on the cross grain where all the stretch is, but i like the diagonal striped binding. it’s a little more interesting than a solid color, yet still doesn’t look jarring or irregular. everything was top stitched with a twin needle to maintain stretch. i’m super pleased with this top. it’s comfy and will no doubt get tons of use! i didn’t make any pattern changes this time around (other than grading between sizes). next time i might lengthen the top by an inch and maybe curve the shoulder/sleeve seam down just a tad so it’s less angular. other than that, this top is definitely a winner, quick to make and a good stash buster for the fabric hoarders among us! this second top is mccalls 6078 which i made up months ago! it made a sneaky appearance back here but thought it deserved it’s own mention. 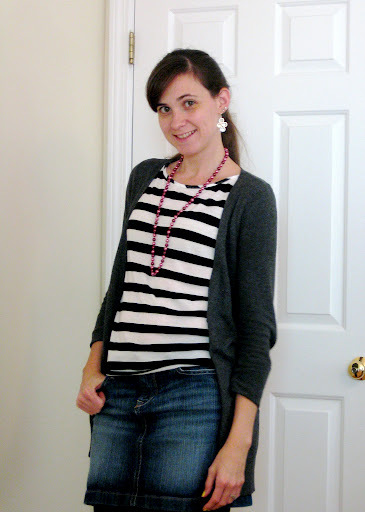 this top is also a really fast make, and is perfect for layering (hello fall). 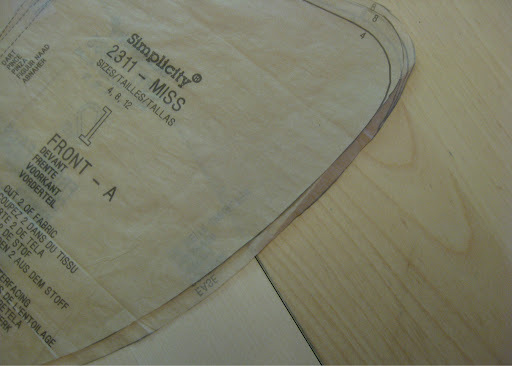 since it’s put out by mccalls, it has stupid wide seam allowances and dumb finishing instructions. why can’t they just do it right? instead of turning and stitching a 5/8″ SA (which NEVER works) i made a narrow facing with strips of self binding and top stitched. it’s super easy to do and looks way more professional. other than my minor quibbles with the finishing, i really like this pattern. it’s good for funky prints that need showing off, and i even made it into a casual dress with some fitting changes (hopefully a post for another day). okay, i should be back with a coat muslin soon. the kiddos brought home their first virus from school so i’m a little under the weather… hopefully i can still get it done over the weekend though! i had no idea my knit blazer would have struck such a cord, tons of lovely compliments everywhere and many thanks from myself. you people sure know how to make a gal feel awesome! now, i plan to get working on my winter coat soon. i have picked out simplicity 2311 and i’m going for the red one in the middle in the shorter length. 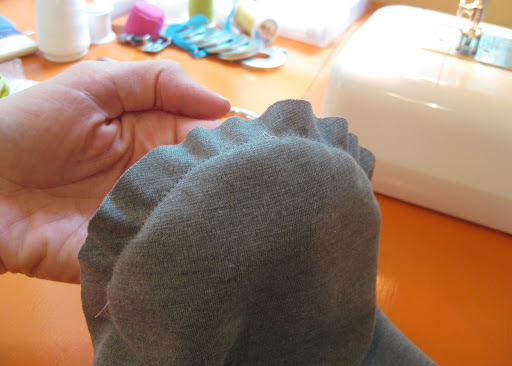 even though the fabric is the exciting part, let’s not forget the unsung hero: the interfacing. whatever you do, get the best you can afford. you’ll want a weft type fusible. you can find it online, or even at joann’s (go figure). you’ll need quite a lot, so make sure you buy FAR more than your pattern (probably) calls for. the cost of materials adds up fast, and i’m trying to get the best bang for my buck. right now i’m sitting well under $100 for materials and shipping. considering the coat i am replacing cost me $100 (ahem… 10 years ago…) i think i’ve done pretty well! 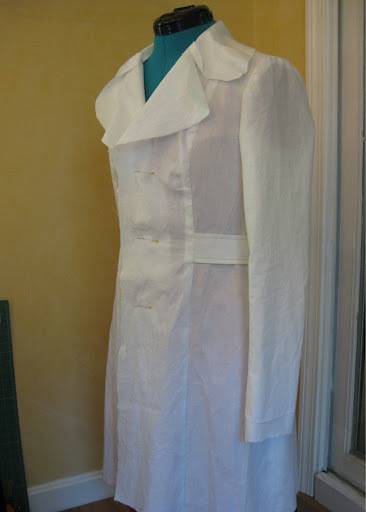 over this coming week i plan to muslin my coat and hopefully have all the patterning done by the end of next weekend. as with my knit blazer, i’ll be following the RTW tailoring sew-a-long by sherry. she has lots of info over there, so now is a good time to start studying those posts! if you’ve never done a coat/jacket before it probably won’t all totally make sense, but once you get going everything will start to click. 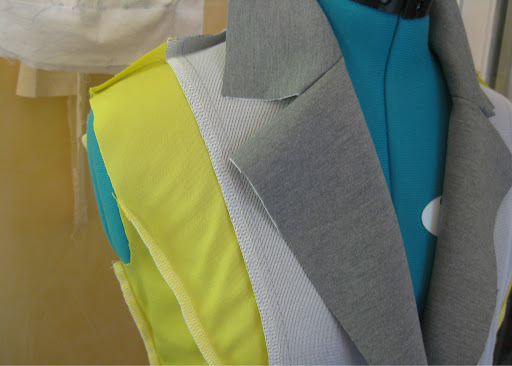 the fitting, the pattern changes, the pattern and fabric prep will actually take up the most time. don’t believe me? i wouldn’t have either! 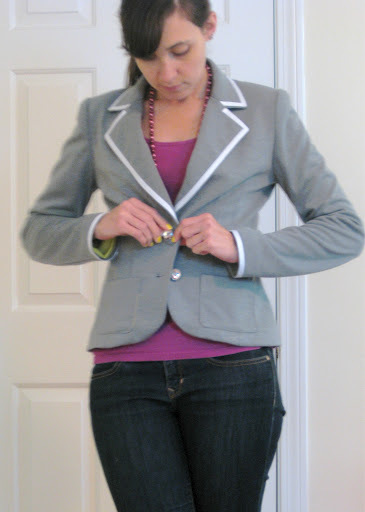 the actual construction of my knit blazer was completed over three partial days of sewing. far less time than i spent making my pattern changes and marking and fusing my fabric. so, what i’m trying to say is take your time getting all the prep work done properly so that by the time you’re ready to sew, everything is smooth as butter. so that’s it for now, if anyone else has picked out a pattern or started sourcing materials i’d love to hear about it! it’s a knit blazer people!!! and it’s kind of awesome. no. not kind of awesome. SUPER awesome. 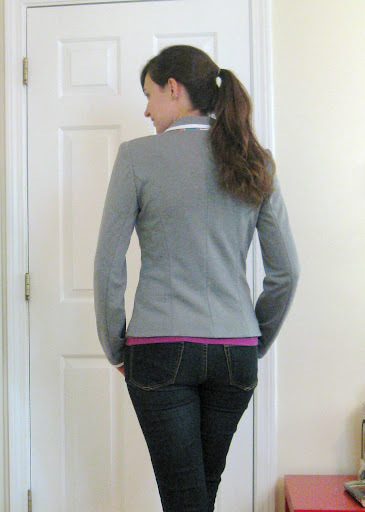 i finished off butterick 4610 a couple days ago, adding my trim and buttons to finish it off. everything about this went smoothly, and i really have to credit sherry over at pattern-scissors-cloth and her RTW tailoring sew-a-long posts. that woman has such a wealth of knowledge over on her blog that it’s almost criminal she gives it away for free. i hope she puts out a book someday, i would buy it in a heartbeat! so needless to say, i chucked butterick’s instructions aside, followed her lead and it really paid off. she has tons of RTW finishing techniques that give my blazer a real polish. now, i have a blazer that i am more than proud of and happens to be highly functional for my everyday life. this is a really nice pattern, but i had to alter some bits to get the fit i was looking for. i outlined it all over on my last post so i won’t bore you with it here, though i think i forgot the part where i added 1.25″ to the sleeve length. i have monkey arms. 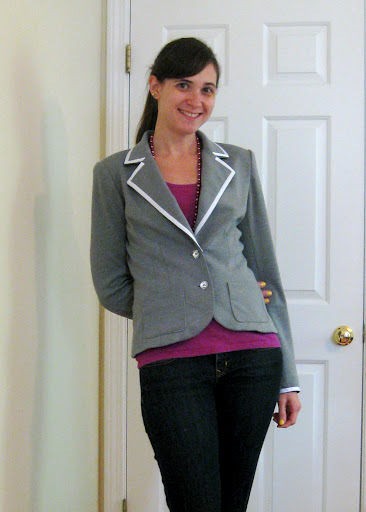 i am seriously dying over this blazer. i think making this was a good training session to get me in gear for my winter coat project. 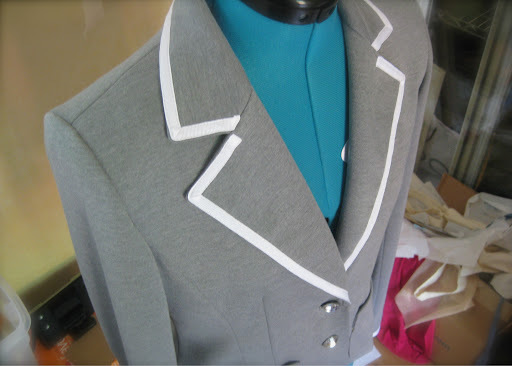 you would think that sewing a blazer would make me crash and burn and not want to touch a similar project for months. but in actuality it has me even more excited! initially i planned to hand tailor my coat with the hair canvas and the pad stitching and such, but i had such amazing results with the RTW tailoring (using fusibles) that i just don’t feel the need to take that kind of time anymore. the thought of hand tailoring doesn’t intimidate me anymore (and i’m sure i’ll do it someday) but for my time i’ll go the RTW route and i don’t think i’ll regret it. so unless i have a dilly of a time with fitting, the whole coat shouldn’t take more than a week. and once again, if anyone is interested in following my coat making, i’ll be posting often as the coat progresses, showing you the steps and pointing you toward online information and sharing what little knowledge i have on the topic. we can all hold hands and make coats together! i still have a few summer makes to show you, but i thought i’d post what i’m actually working on right now. shocking, i know. i love the structure of the blazer, but the everyday wear of a knit. let’s face it. my everyday life is more about shuttling kids around to school, dance lessons, doctor’s appts, etc. this is perfect and allows me to feel put together even if all i have on underneath are a stained t-shirt and jeans. so i was on the hunt for a blazer pattern. i wanted something slim and slightly cropped and after MUCH searching, i finally stumbled upon butterick 4610. the only thing i didn’t like was the single button closure, and that is pretty easily remedied. pattern reviews were generally favorable, aside from some boxiness in the shoulders and wide sleeves. i measured a 10 in the bust and a 12 at the waist, so i went down a full size a graded from an 8 in the shoulder/bust out to a 10 at the waist. then i used the width of the size 6 sleeve and raised the armscythe by 3/4″. i’ve always had issues being able to raise my arms comfortably and if you look at how low the armpit hangs, it completely restricts your mobility. no bueno. then i brought the shoulder in by 1/2″ to eliminate the football player look. 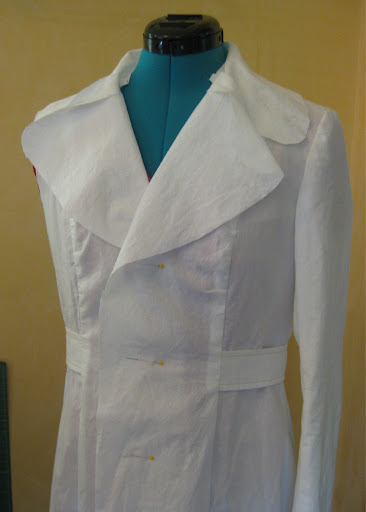 then i raised the stance of the jacket by about 2 1/2″ so i could have a two button closure. my changes sound much more extensive then they actually are. i took a chance and didn’t muslin this first. since i was using knit (sophia double knit from fabric.com to be specific), there was really no point. i compared measurements to jackets i already have and like and just went to town. i debated over how much of the jacket to apply fusible to. the pattern only has you do the under collar, the facing and… that’s it. 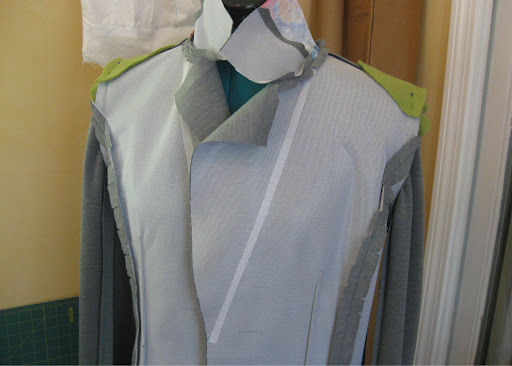 i went a little further and also interfaced the entire front, the top collar, as well as the hem and sleeve hem. i also taped the roll line and added an extra layer of fusible to the under collar so it would all roll properly and keep it’s shape. of course, the roll line isn’t included on the pattern, but it doesn’t take much skill to figure out the placement of this. ensures a nice roll line for the collar. 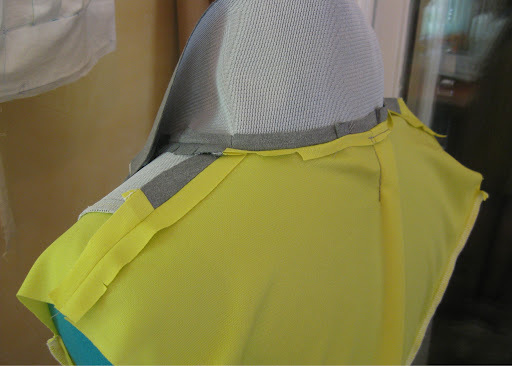 extra layer of fusible for the collar stand on the under collar. that may seem like a lot of fuss and fusing for a casual knit blazer. well it is, but i really wanted to keep the structure of a blazer. i didn’t want this to just look like a sweater with a collar and end up all floppy. i also discovered a nifty trick for setting in those sleeves! any proper jacket needs a sleeve head to fill out the sleeve cap, so i cut bias strips (2″ wide) of regular old polar fleece and stitched it around the eased part of the sleeve head, pulling the fleece very taut as i stitched. see how the fleece pulls in the cap without gathering or puckers? the sleeve practically sets itself in! nicely rounded sleeve head… no puckers!!! i was stunned at how easy this made putting the sleeve in. the whole seam allowance (including the fleece) is pressed toward the sleeve, so i rounded the edges of the fleece to make sure i had no visible ridge when worn. then i cut shoulder pads out of the fleece as well. i have rather angular shoulders and don’t like to give them much emphasis. in the future, i would probably add fusible to the upper portion of the sleeve to give it additional structure as well as ensure that all the sleeve cap business doesn’t show. all in all the work paid off and it has turned out amazing! here i’m only showing you the guts, but i have the entire thing done aside from some white trim and sparkly buttons! yay for everyday sewing!!! someday i may win an award for super clever blog post titles. heh… or not. ALL SUMMER all i wanted was a nice easy maxi dress. mcalls 6559 to be specific. it’s just a simple tank dress, but i was forever set back by poor online fabric choices. the fabrics were fine, just to be clear, but i would order one and inevitably it was not right for this project… too thin, too stretchy or just not the right print for a garment that covers 90% of me. 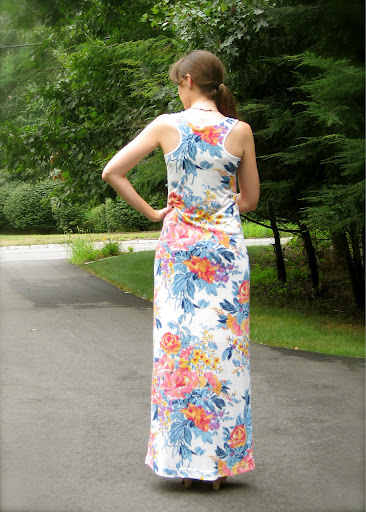 then finally on a complete whim i ordered this giant granny floral from girlcharlee.com. i heart them lots. seriously awesome and affordable fabrics over there. it was my last shot at finding the right fabric for the maxi i just needed to have. fortunately the print was perfect! but again the fabric with the cream background was a bit thin and see through, so this time i decided to add a partial lining and call it a day. evidently finding solid cream colored lightweight knit is hard. and expensive. my shell fabric was $5/yd. my lining, $13/yd. grrrr….. whatevs. i realize this is summer’s end so most likely anyone who was going to make a knit maxi dress has already in fact done that. however, i also think this is a good transitional dress. i can easily layer it up with a jacket or add a sweater and belt. this pattern has two lengths, so i cut the lining to the shorter length, sewed the shell and lining separately then layered them and attached the bindings. i cut the binding from the lining material so i would have a solid colored binding. the lining is slightly darker than the shell fabric, but close enough that i wasn’t gonna sweat it. i happened to notice the pattern layout for this and it instructs you to cut this on the cross grain. as in, having the stretch go up and down instead of side to side. whaaaaat? after a few minutes of that doesn’t really make sense… i went with my gut and cut it on grain. lo and behold it worked out. i graded from a 6 up top out to a 12 at the hip and down and i am very happy with the fit. the neckline is a bit low and if i’m being picky i have a little bunching at my lower back. 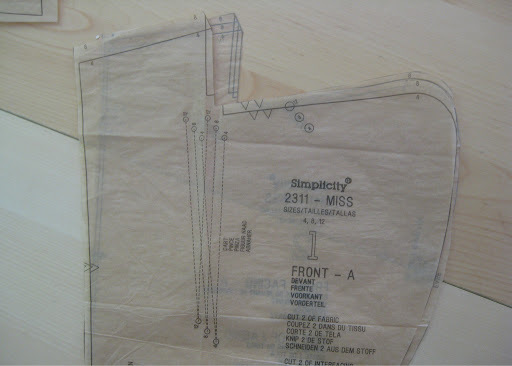 not sure there’s really anything i could do about that, although i discovered a nifty swayback adjustment for this type of cut over on pattern-scissors-cloth (this is a long post on the topic, make sure you read all the way to the end!). i’ll probably try that out next time. i love how this dress turned out. i’m pretty leery of any dress without a defined waist, but you just can’t beat the ease and versatility of this look. you could easily knock this pattern out in an afternoon, or even use it to make a basic tank top—racer back or not (it has both options). heck, you can even put a giant star on your hip. 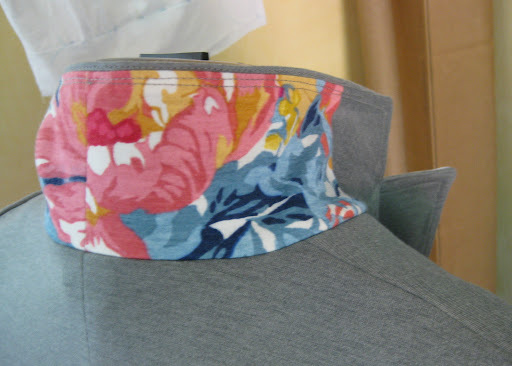 i chose to do the racer back and solid colored bindings to contrast against the giant floral print. i feel like this combo is a little less expected. i’ve worn it several times and will definitely revisit this pattern. it even has a little tie cardigan pattern that i might make sometime. all in all this is a great little pattern to have in your stash!